I think I am coming to a point where I can appreciate a good jumpsuit. I've always loved jumpsuits, they are so easy to wear and style / transition. I do have to say the reality of wearing one hits you in the face when you have to use the ladies room and you find yourself, well, naked from head to toe. But that's only for a moment so it is all worth it. It is hard to miss or pass on this particular Asos jumpsuit. You all know I am a stripe lover so that got my attention and then the color! 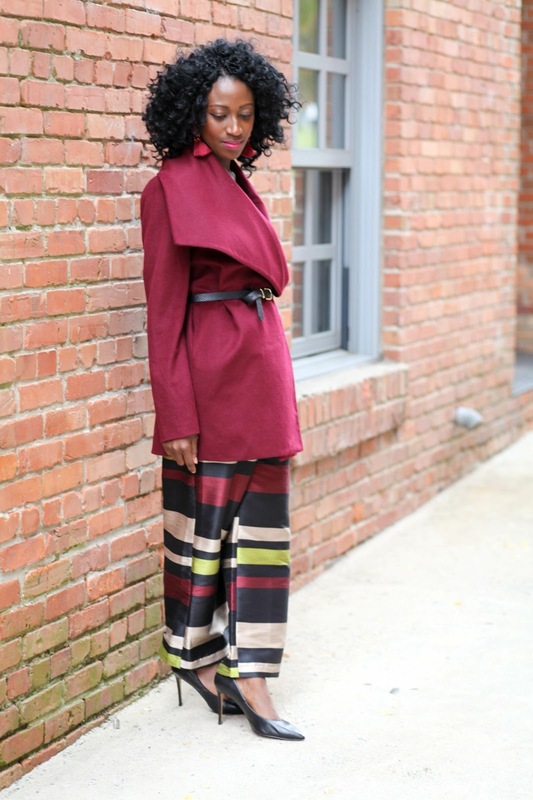 Did I mention I have a thing for burgundy in the fall? Oh yes I did here. While for some reason I have been cautiously trying to stay away from anything with a bandeau neckline, that wasn't enough to keep me away from this piece. And to make matters worse it was sold out in my regular size 4. I knew I could make a size 6 work, it might actually be better for this style not to have it so fitted and body hugging, so I took the leap of faith and bought it in a size 6 and well, let's just say all is well. 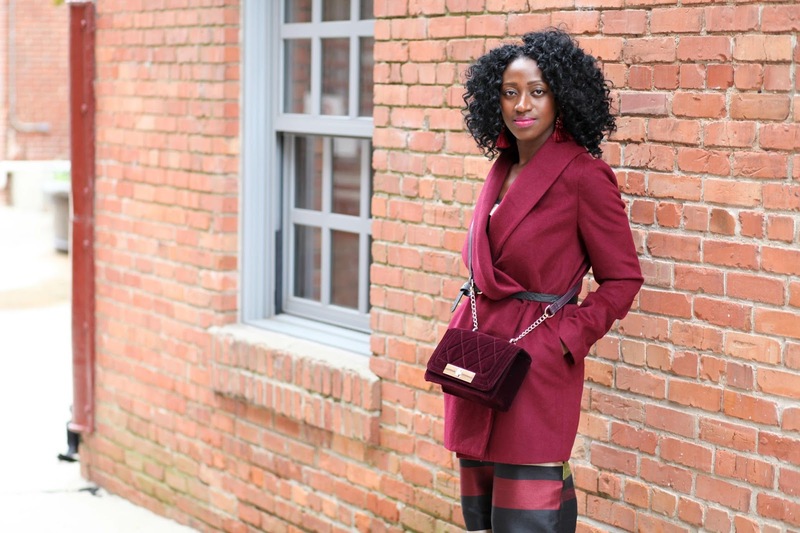 Playing off the burgundy tone in the jumpsuit, I piled on, literally, more burgundy to profess my love for it. 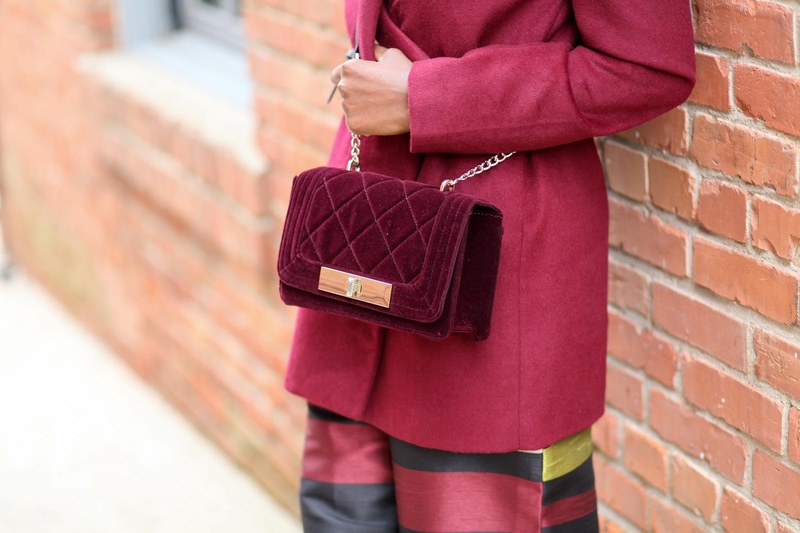 Added my burgundy coat and bag. 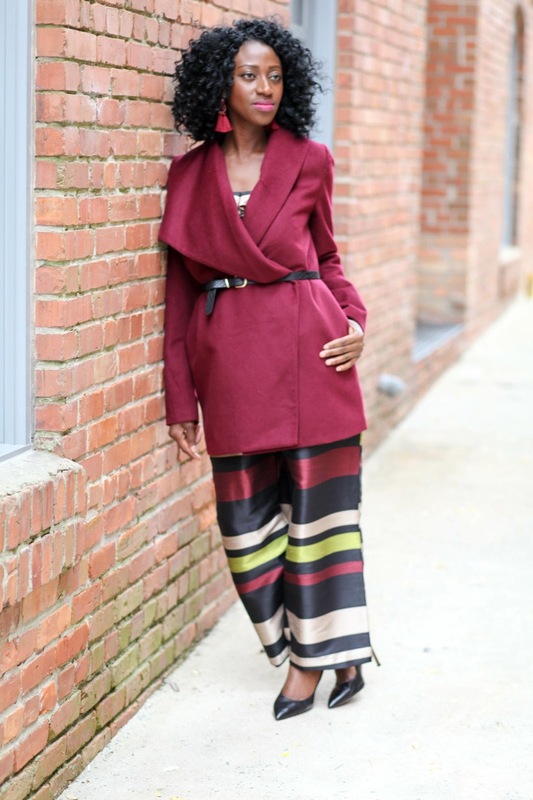 For a chic pulled together look and to define the waistline, I belted the coat. Since there's a lot happening on the top. I opted for a simple black pump to complete the look. 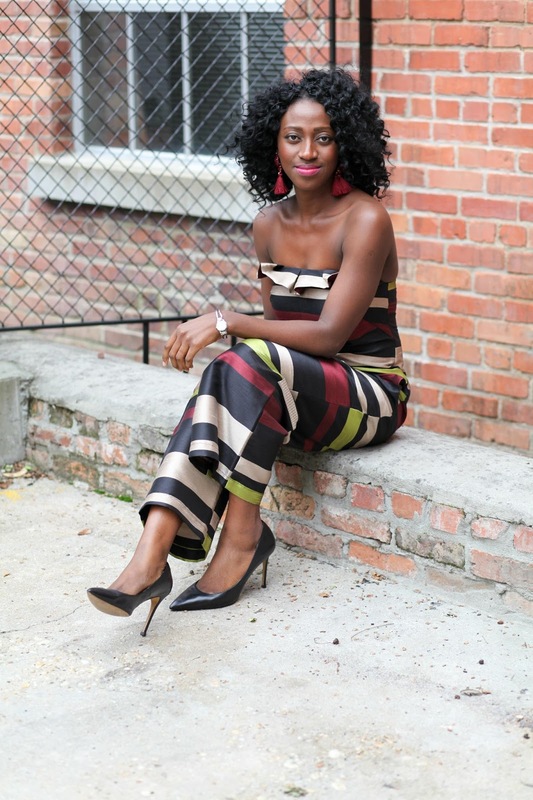 Another way to easily style this jumpsuit for fall will be adding a crisp white button down shirt underneath. Oh, did I mention it is my birthday today!